raising redheads: special needs for my God. 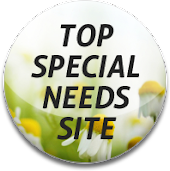 special needs for my God. She takes my breath away. I honestly wake up and feel desperate for her. I can't wait to sweep her up out of her warm crib and wrap her in my arms as she crinkles her nose and smiles gently. I watch her intently and memorize her every expression. When I say I am desperate for her, I mean it. I am. And lately [finally]--she is just as desperate for me. Some call it separation anxiety and although I agree to a point, I can't help but understand her state of panic. I'm her steady. She feels me, smells me, has learned to see and hear me the way that she does and she depends on me. For everything. I am the one person that she needs to survive and she knows it. And that's how I feel about her. I can't live without her and I'm not sure how I ever did. I feel this way about all of the children, of course, but this dance that Mabel and I are doing is unique and brilliant. I burrow myself into her and she does the same with me. What I realize that I'm learning daily in my interactions with Mabel--mothering her, snuggling her, caring for her--is that as much as she depends on me, I want to be dependent on the Lord. As much as she has to trust me to get her from place to place, I want to trust God to do the same for me, in all I do. As much as Mabel cries out for me when I leave a room, I want to do the same with Jesus. I want to long for Him, cry out to Him, be so incredibly desperate for Him that I cannot breathe or function without His presence. Don't get me wrong, all children need their parents and have to trust them to get them through each day to an extent. However, most of our children begin to be self sufficient by at least 18 months of age and they depend on us less and less. Harper is almost two and she can tell Rachel that she wants a drink, a bath, if she's tired, etc. Mabel cannot do these things. She cannot express to me what she needs. She simply has to trust that I know and that I love her enough to provide those things for her. What a perfect example of how our relationship with the Lord should be. And yet she knows no other way, which is why it is so pure, so innocent, and almost perfect. I can't always verbalize to Him what I need. But He knows anyway. I can't always reach out to Him when I need to. But He's there still. I can't always drink in His goodness, at least not without choking, but He finds a way to nourish me regardless. I want to be a Special Needs child in my walk with God. I want to be less self sufficient and more God dependent. I want to depend on Him more and more and myself less and less. I want Him to bathe me in mercy, feed me until I'm full, carry me when I am weak, lift me up when I can't move on my own, wrap Himself around me when I need comfort, prop me up when I cannot sit, rock me when I'm tired and encourage me every step of the way. I want to be desperate for Him in such a way that I cannot fathom one moment without Him. There is a story circulating on facebook about a little girl who is in need of a Kidney transplant. I haven't read the official article but it is irrelevant really. The problem is that the children's hospital where the small girl was being seen was going to refuse the transplant because she is 'mentally retarded.' Some people have clarified that she, in fact, has many other life threatening conditions and therefore the hospital wasn't refusing based on her mental status but rather other issues. However, people are outraged and so am I. Whether this story had any truth to it didn't matter to me. It made me think about our future with Mabel and how scary it truly could be for our sweet girl. We live in a society that tends to look at children and adults with disabilities as 'less than' or of less worth than "healthy" people. It is sickening. Mabel's life is worth no less than anyone else's--no matter what. She is just as worthy of life, and care as anyone else. Once again, I dare to say that our God has a much different outlook on these children than our society does. In fact, I'm sure of it. They have got it all right, in a sense. They are a beautiful representation of our Lord and what it means to be dependent on Him, fully and wholly. If we will open our eyes to the things that their little lives may teach us, it would be astounding. Mabel teaches me every day what it means to be better. To trust more. To judge less. To accept grace. To try harder. To rest. To just enjoy breathing. To smile. To fall into the arms of my God fearlessly. Because I watch her and I study her. I see how whole she is in her spirit and it is a gift. It is absolutely a gift. Mabel's life serves such a huge purpose and I feel like because she is here and she is mine, I have to share her with each of you so that you can learn from her as well. One day with Mabel really will make you understand God in a whole new way. Some of you may feel intimidated by our situation, but please don't. Please come in and hold our girl. Please come in and smell her skin and watch her giggle. Please just experience what God has put here for greater things that we can even imagine. She will change you without even knowing it. She will attach herself to your heart and not let go. Special Needs in our world is not the same in His. I'm longing for the spiritual likeness. I agree 100 fold with it all. This was a beautiful, raw, wonderfully written post, Ramee. Beautiful! I wish I could "come in" and hold her and smell her skin. However, she already has attached herself thru this blog, to my heart. Bless you all, and your week!!!! She is beyond precious. Love her sweet smile. And here your wisdom shines beyond yourself... Your girl is gorgeous and so are you, and your soul!! As long as you are happy, she will be happy- GOD BLESS YOU! I think it is kind of not coincidence that I found your blog this easter week. I have been praying recently for some direction and wham!! look at you and your life!! Whoa!